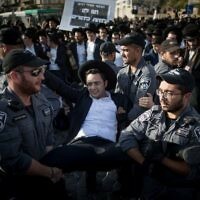 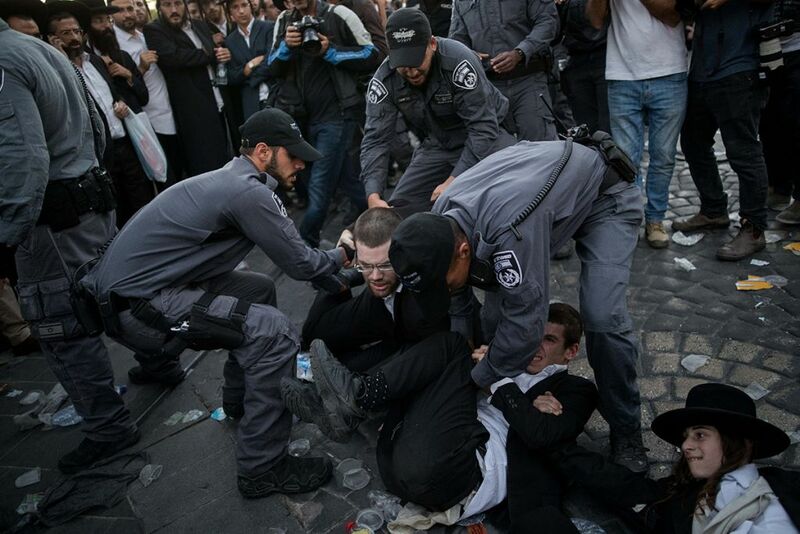 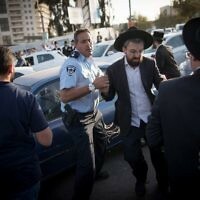 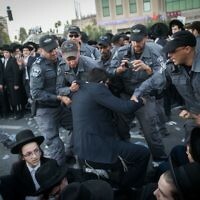 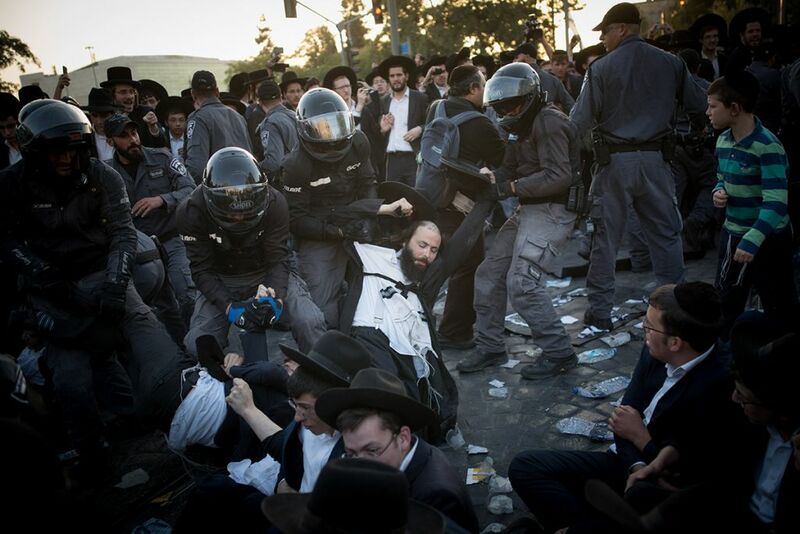 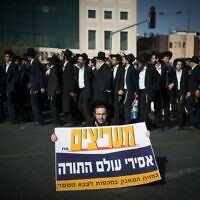 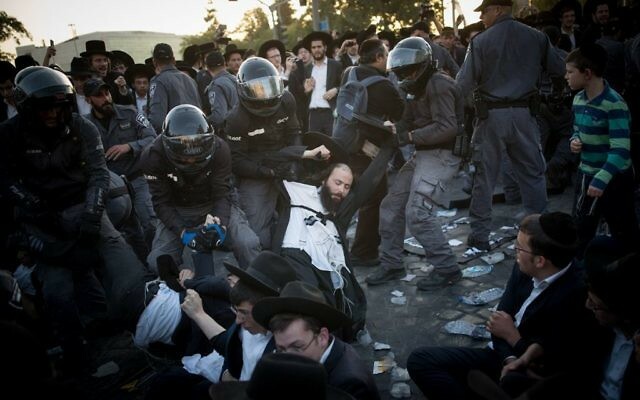 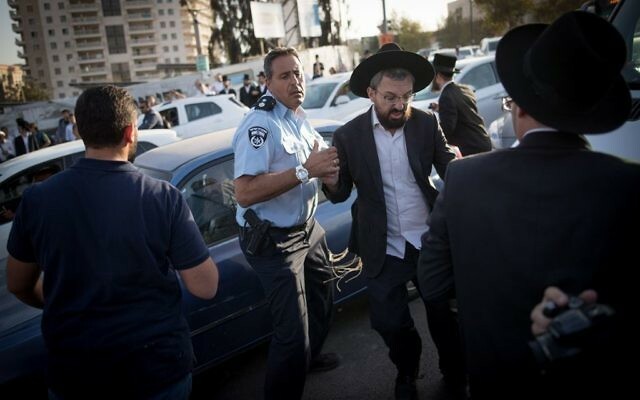 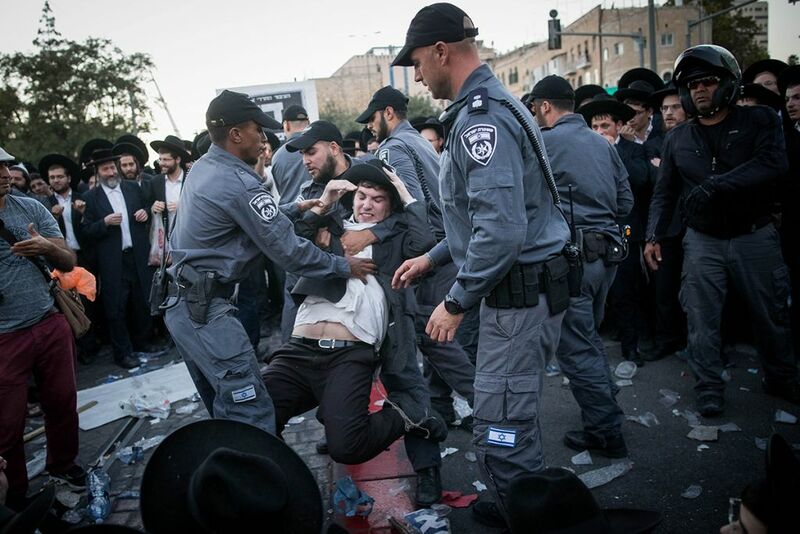 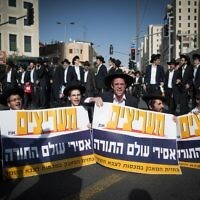 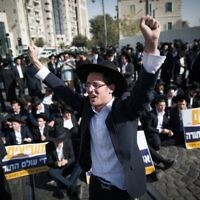 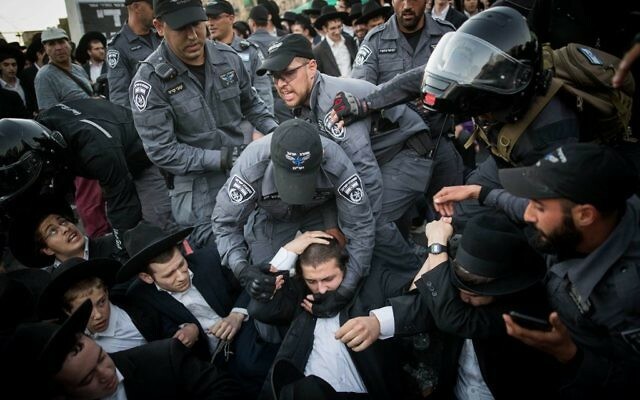 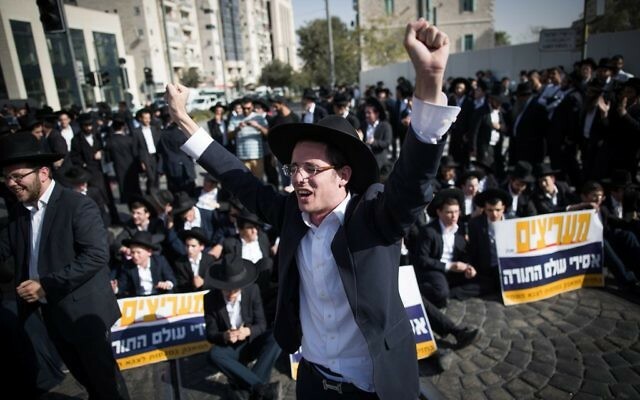 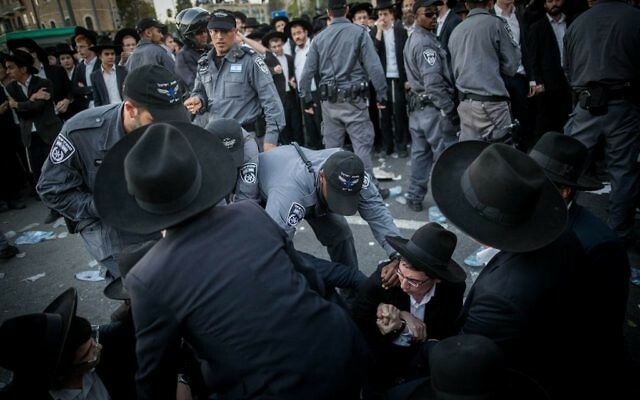 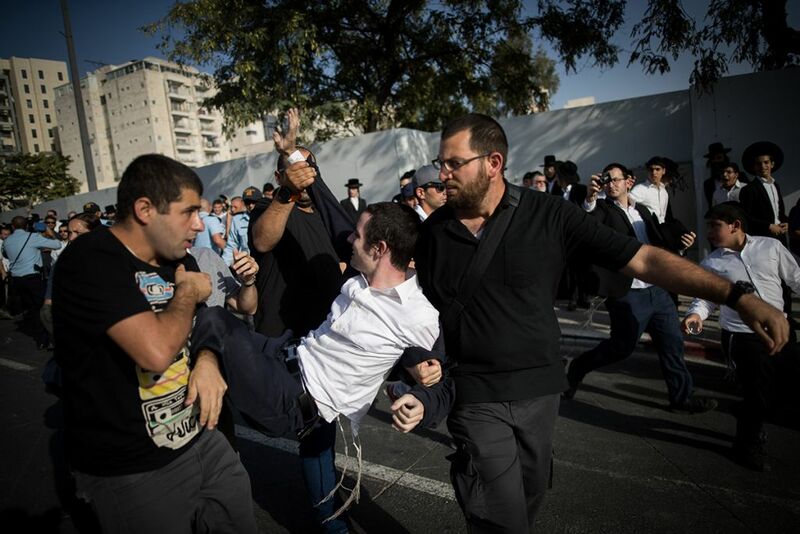 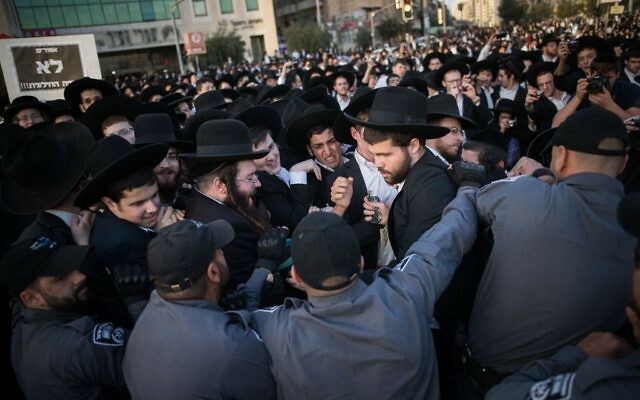 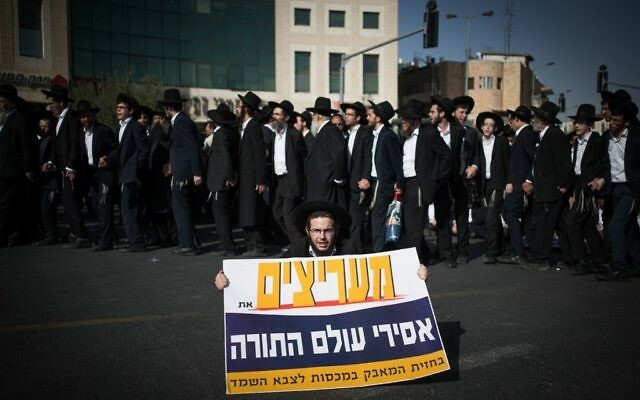 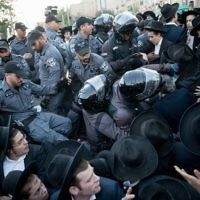 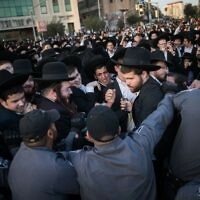 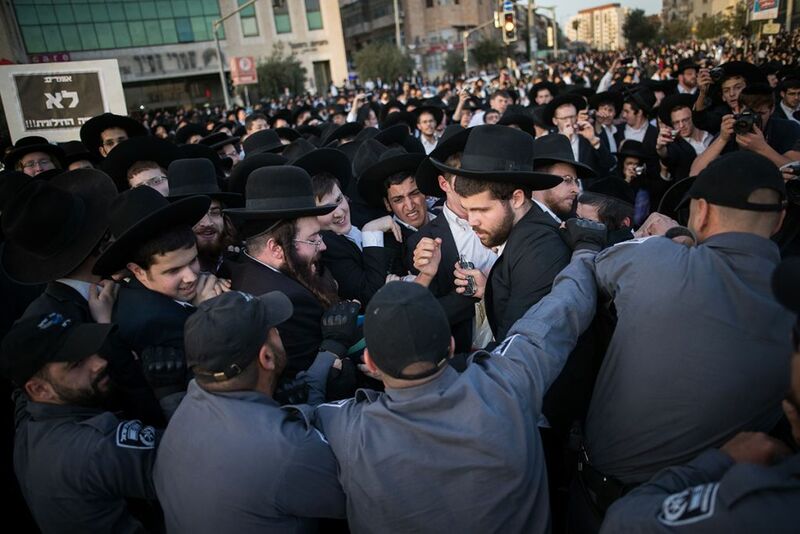 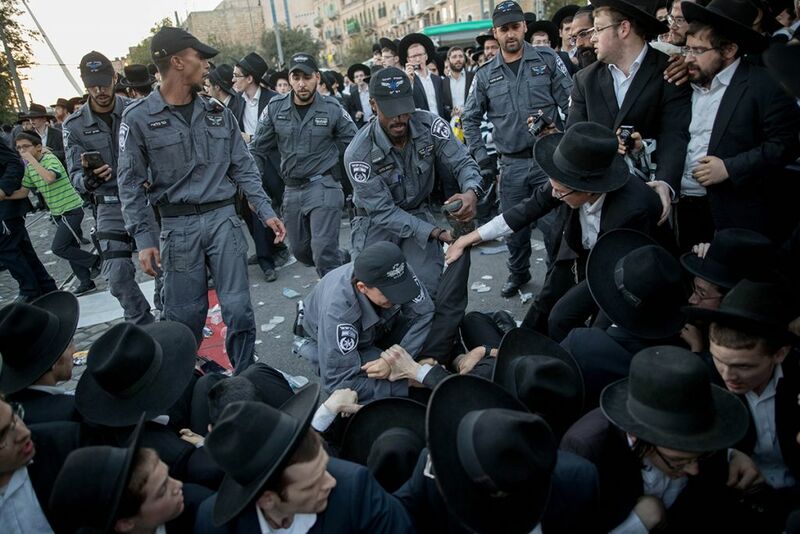 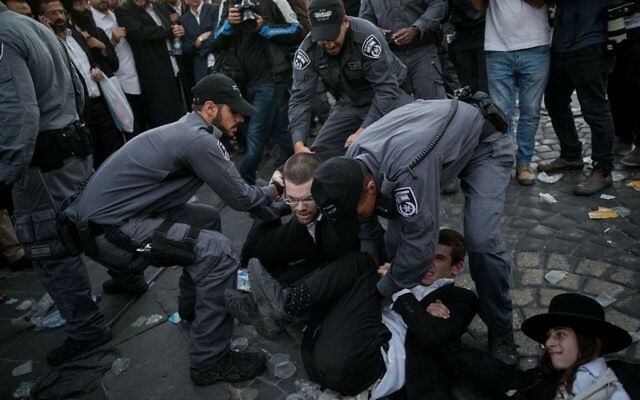 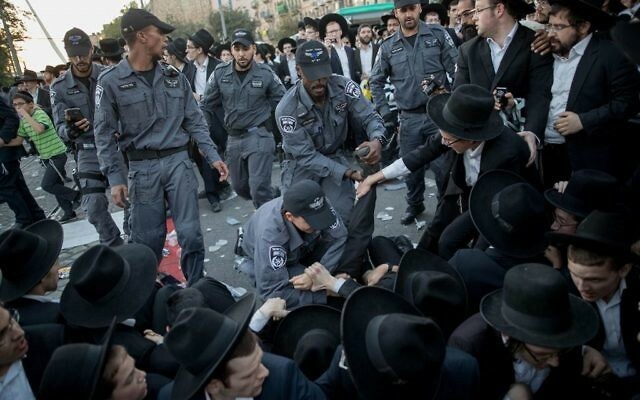 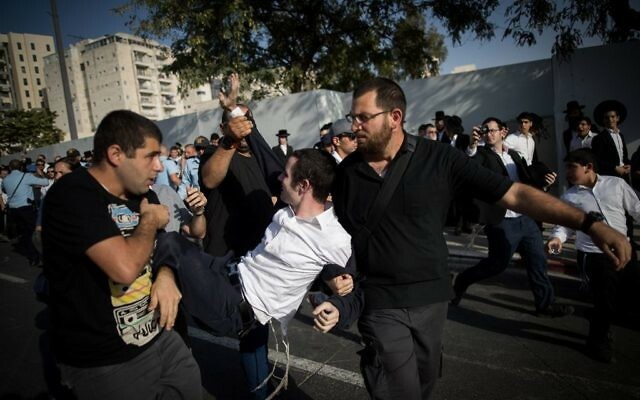 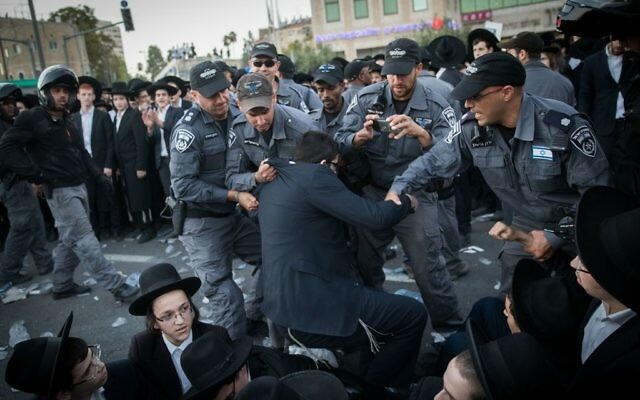 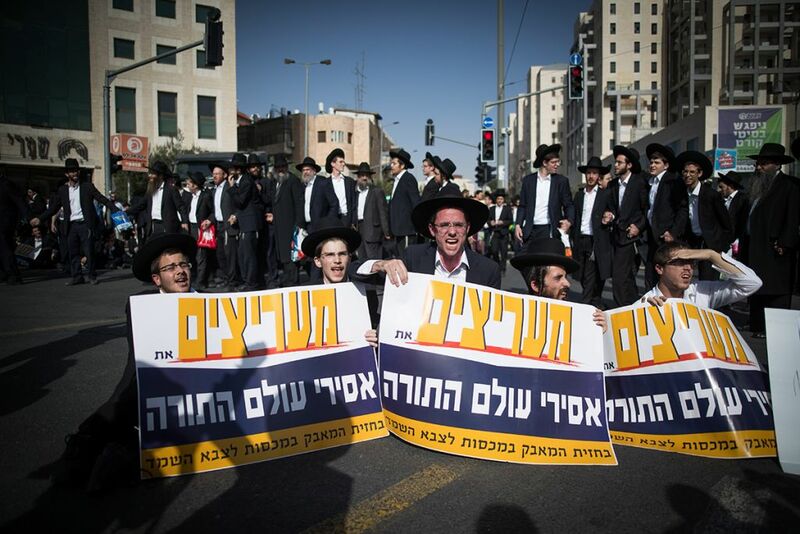 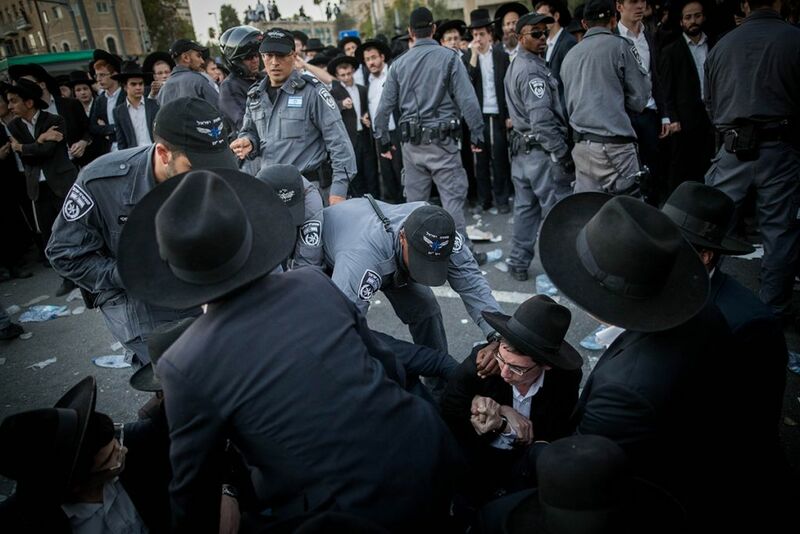 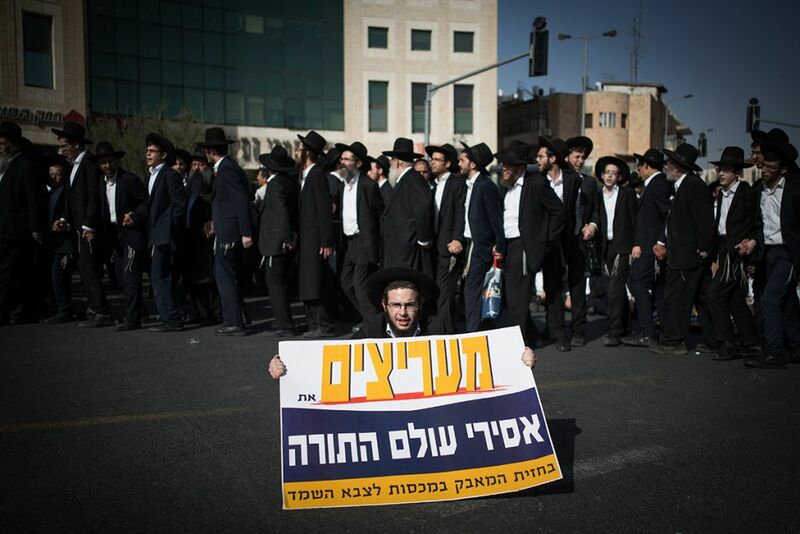 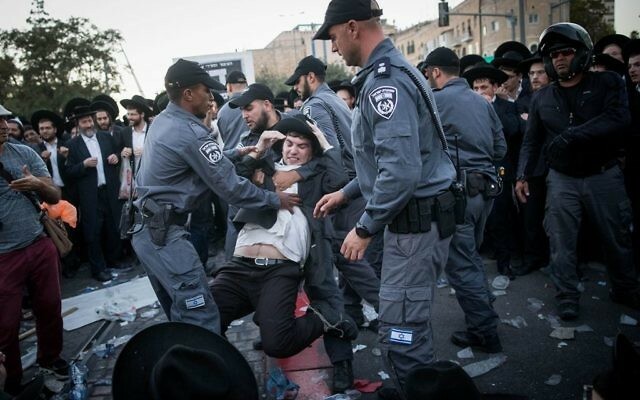 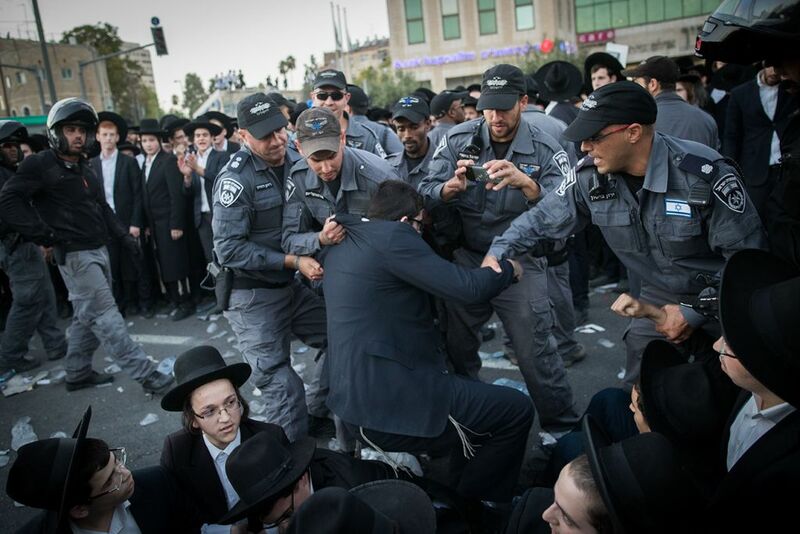 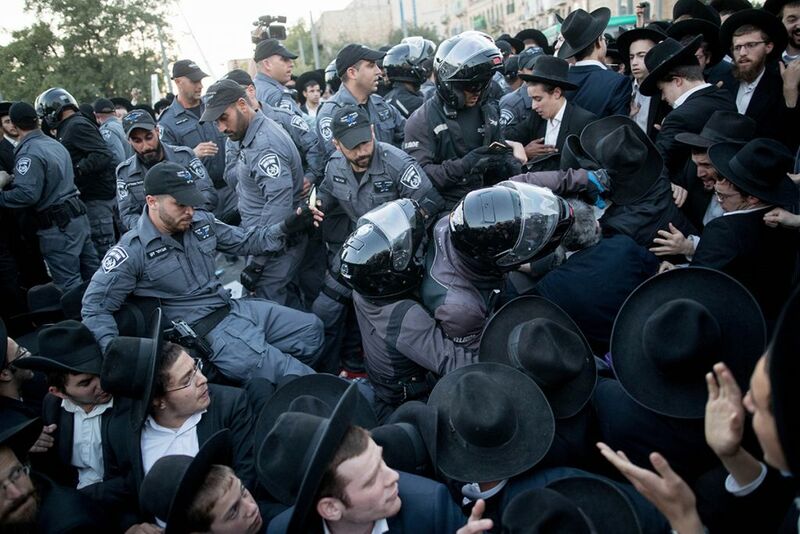 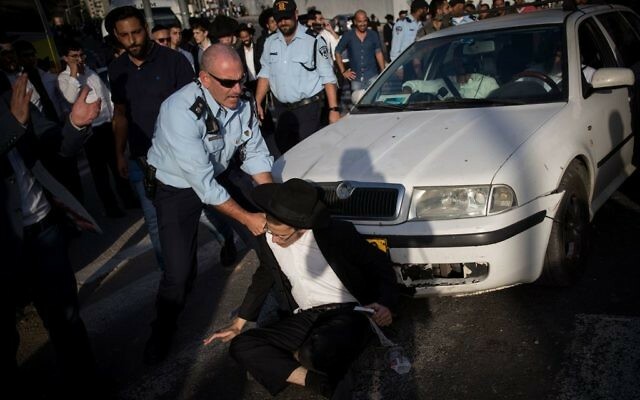 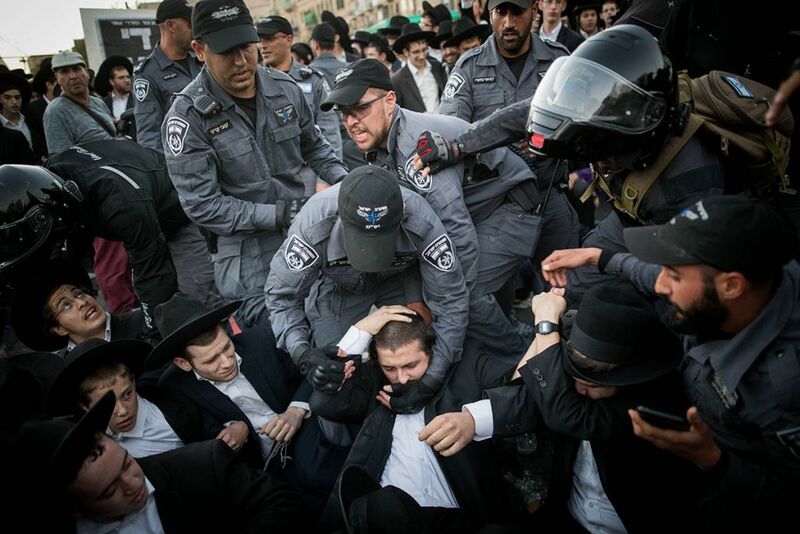 Charedi protesters declared a “day of rage” over the arrests of two yeshiva students charged with draft evasion. 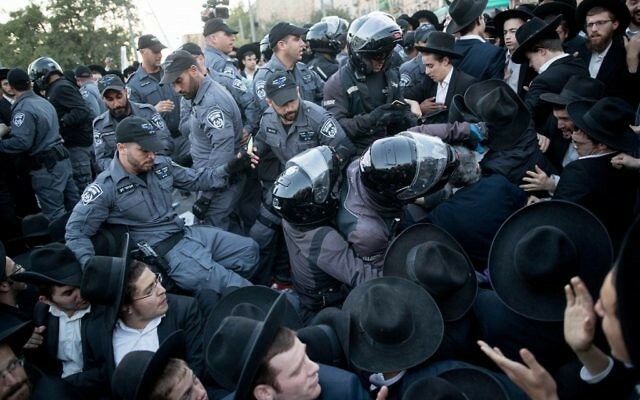 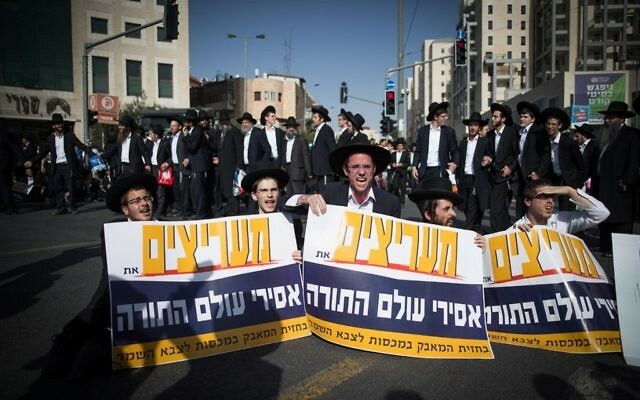 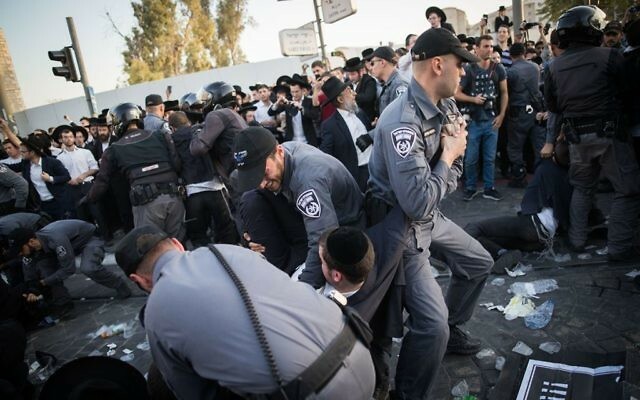 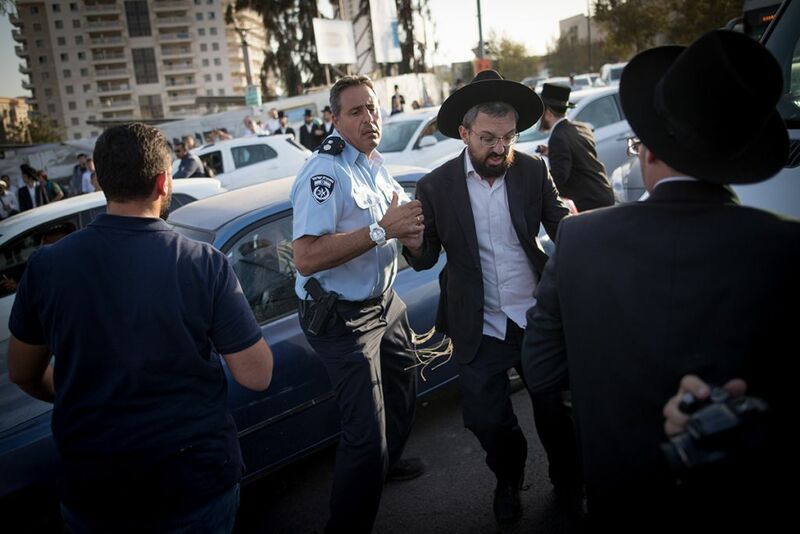 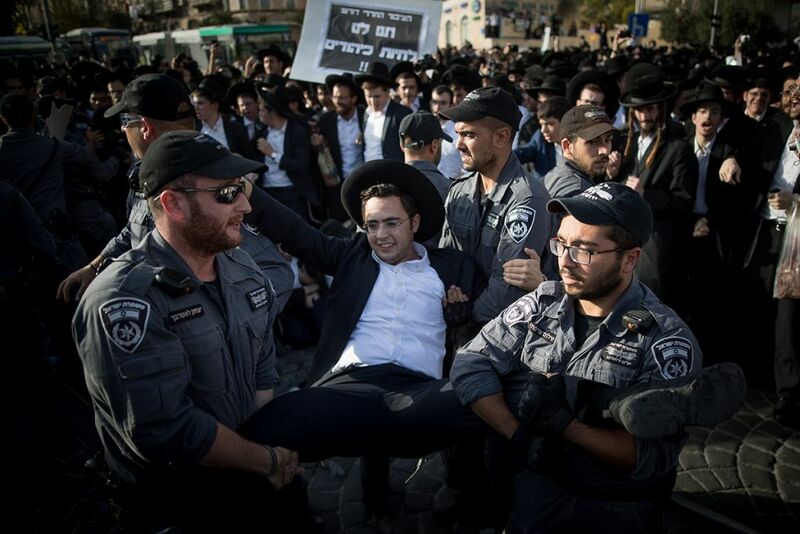 Thursday’s declaration follows three days of demonstrations in which hundreds of Charedi demonstrators blocked central roads in Jerusalem and Bnei Brak, a Charedi enclave. 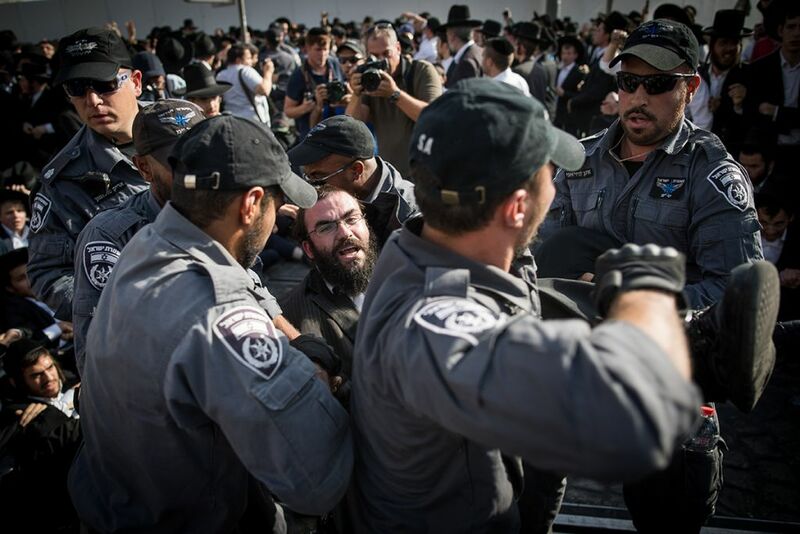 Dozens of protesters have been arrested in recent days amid charges of disproportionate force by police. 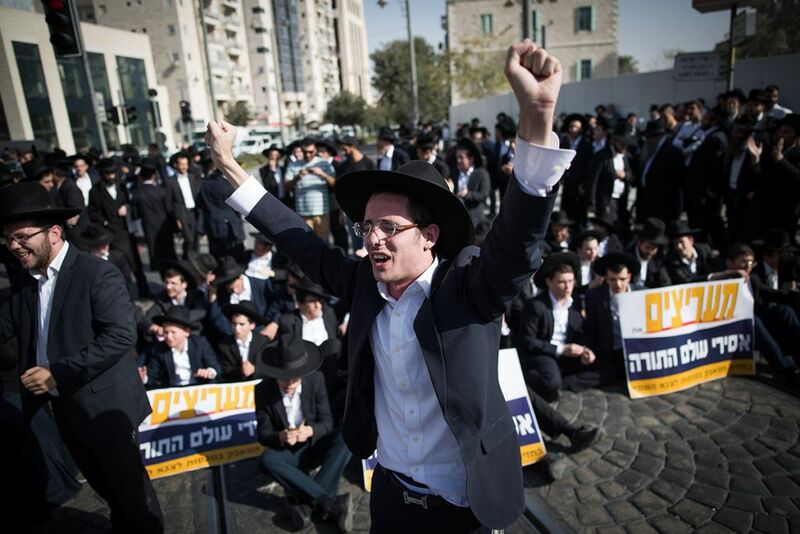 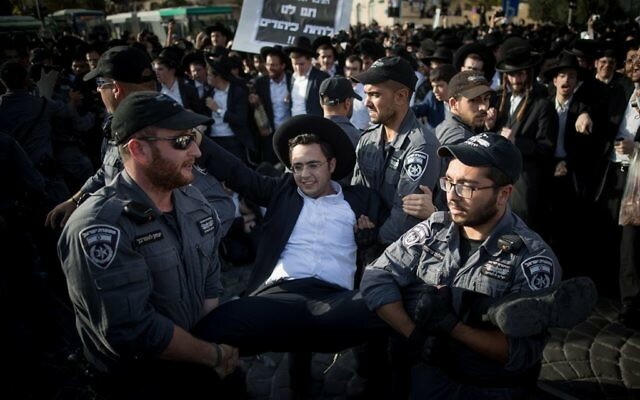 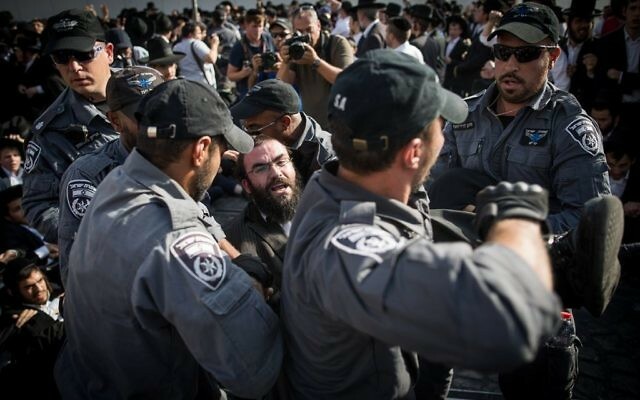 The arrested yeshiva students were each sentenced to 20 days in military prison for not appearing after receiving several draft notifications. 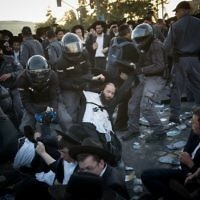 Demonstrations on Thursday began at the busy Shilat Junction near Modiin Ilit, which is home to a large Charedi population. 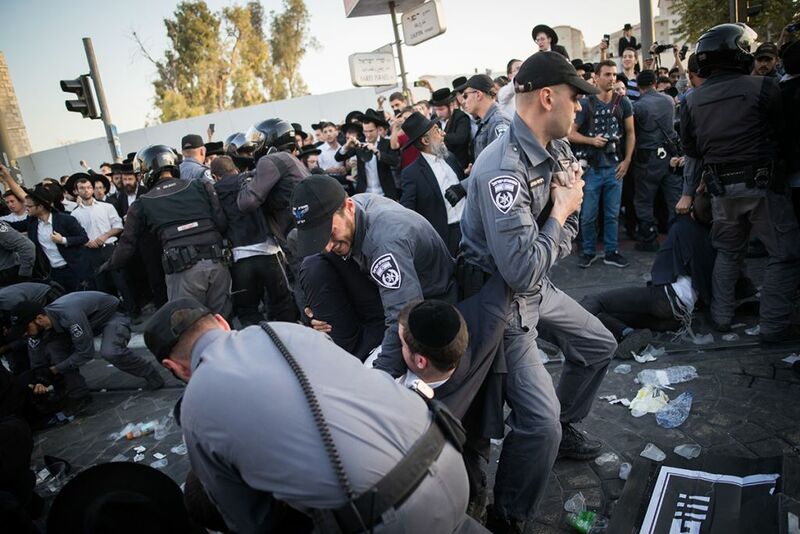 Other protests were due to take place in Jerusalem, Bnei Brak, Beit Shemesh, El Ad, Ashdod in southern Israel and Safed/Tzfat in northern Israel. 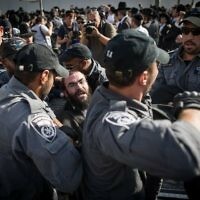 Later Thursday, the protesters blocked Jerusalem’s busy central bus station and brought the city’s light rail to a halt.